This property has had 18 views in the last 3 days! At "My 4 Beaches" you'll experience an updated three bedroom, two bath beach cottage just a short stroll to both the beach and sound. Enter into the large, open great room from the screened front porch. The fully stocked kitchen, located to your left, boasts a dining area featuring seating for six at the table. Bar style seating is also available in the kitchen adding three additional spots. The family room, to the right, offers comfy seating and flat screen TV. Hardwood laminate flooring and vaulted ceilings make this great room open and inviting. Proceeding down the hallway, the first door on your left is the laundry room with full-size washer and dryer. The full shared bathroom is accessed through the hallway as well. Across the hall is the first bedroom featuring twin bunk beds and a double bed, perfect for the kids or teenagers. The next door to your left is the master bedroom suite, featuring a queen bed, flat screen TV and en-suite private bathroom. Directly across the hall from the master lies the third bedroom featuring a queen bed, TV, plus access to the deck overlooking the back yard. After a long day in the surf and the sand, enjoy washing off in the outdoor hot/cold shower. Then, gaze upon beautiful canal views from the front screened porch with a sunset cocktail. With covered parking underneath and pets under 50 pounds welcome, come see why "My 4 Beaches" is able to create memories lasting "4" the rest of your life! "The house was exactly as described by VRBO. We slept seven and six were adults. It was perfect. Our one little loved the bunk beds! 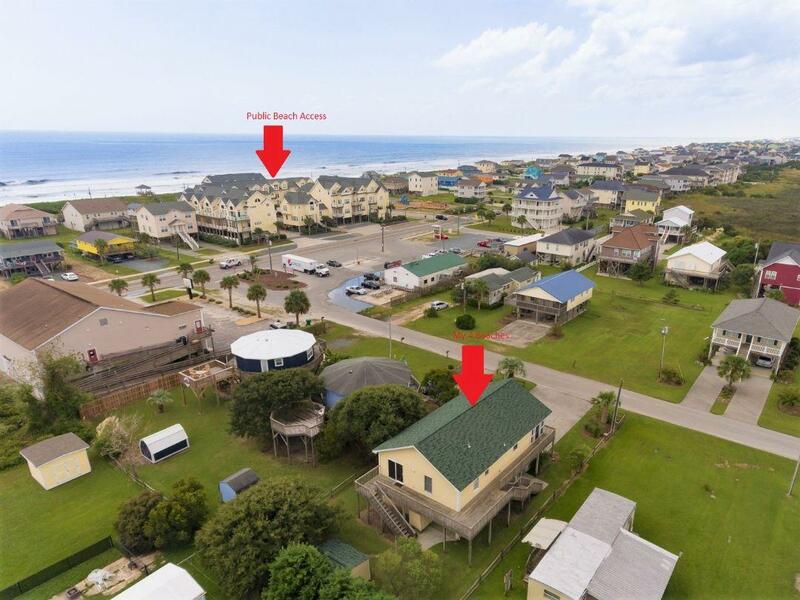 Short walk to the beach, convenience store and park! The best unexpected bonus was the canal at the end of the street - an amazing view! Great neighborhood - would definitely rent it again!" Great house in great location with plenty of room outside for boat. "Loved the house. We had a great vacation and would come back." "The house fit the needs of myself my wife and my two children perfectly. Beach access was close and so were shops and restaurants. Thanks!!" "Awesome house and Property management company. We felt right at home as soon as we walked in. 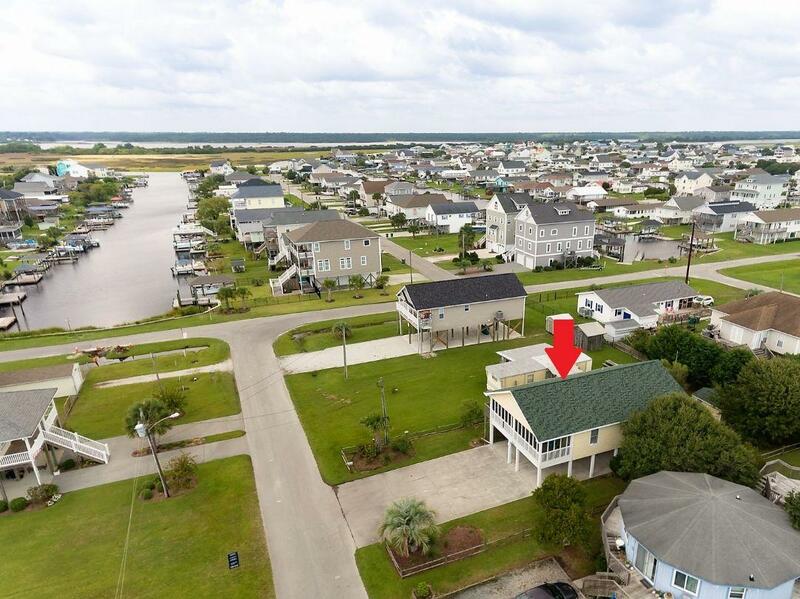 Walking distance to the beach, store, and local bars. Great neighbors!" "The house was clean and comfortable. Communication was good." "My family and I loved this house. We ended up extending our stay. Great place to stay to access the beach and some great restaurants. Thanks again for sharing your home with us." "We had a fantastic time! The house was EXACTLY like the description and photos. The open concept living/dining/kitchen makes it feel very big and open. The house is very convenient to the beach access and bridge. The front porch is the perfect place to have morning coffee or evening drinks and having a washer/dryer was such a blessing. The neighbor was very helpful and allowed our kids to borrow his bikes and put our "overflow" trash in his bin as the previous renters had nearly filled ours. The outdoor shower was a little tricky, but we were able to at least rinse off before going upstairs. We visited over Independence Day so there was a lot more traffic and people during that week, but EVERYONE had fireworks going off! If we visit Topsail/Surf City we will try to rent My 4 Beaches again!" "This house was great. It was clean, stocked with kitchen items to make cooking easy, only one block from the beach..most importantly I was allowed to bring my dog with me which made it the perfect home away from home! Overall I was very satisfied"